I’m not in the habit of asking you for favours, all you wonderful people out there in the dark, but just this once I’m allowing myself the privilege. THE NORTHLEACH HORROR – Indiegogo from Dave Jack on Vimeo. If you’ve been enjoying the free jokes and observations on Shadowplay for some time now, this is your chance to pay something back. And you won’t just be helping one little short film — the plan is to use the short to make the feature, THE WHITSUNTIDE EXPERIMENT, and possibly the TV series, The Whitsuntide Experiments, and basically to rescue Fiona and I from the slightly horrible financial situation we’re in. Richard Lester told me, “George MacDonald Fraser was the night editor at the Glasgow Herald and he didn’t like it. So he said to his wife, ‘I’m going to write us out of this. '” Thus was born the Flashman series of novels. The character of Whitsuntide is consciously designed to be hugely successful and change my life, the way Harry Flashman changed Fraser’s. He’s kind of like the Flashman of mad science, and kind of like Jerry Cornelius, and kind of like Colin Clive and Peter Cushing as Frankenstein. But not that much like anyone you’ve seen before. As it turns out, Freddie is a huge fan of the Flashman books, which seems auspicious. This production has been blessed with good luck and synchronicity. If you believe in that sort of thing, I think it might actually be lucky for you to get involved. If you can’t contribute financially, please shout about the film on social media. Share the Indiegogo everywhere. We have a Facebook page also, where we will be posting images and trailers and stuff. Here, once more, is the crucial link. I like the genteel “whom” — and the inference that McLaglan presumably tried to hit every man he met. I can believe it. But the very same day, I received in the post my copy of the marvelous Lost & Found: American Treasures from the New Zealand Film Archive, published by the good people at the National Film Preservation Foundation. 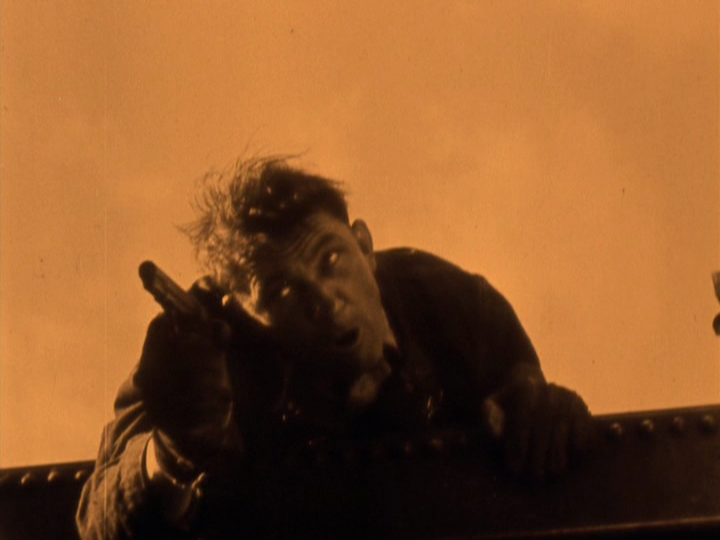 And featured amongst the treasures (all deserving of the name) is a trailer for STRONG BOY, a presumed-lost John Ford film starring McLaglan himself. Indifferently reviewed at the time, the film looks mouthwateringly desirable to us today, and the trailer itself offers up exciting clips and some charming animated title cards.